Reducing downtimes and providing a stable infrastructure increases user productivity. Outtasking SAP Basis activities frees the hands of IT staff for more application- or project-related tasks. Outsourcing can reduce your infrastructure costs by up to 20%. As a Swiss-based company we meet the Swiss Privacy Legislation. Two high-performance and high-security data centers with dedicated resources. Qualified, certified, and flexible SAP Basis Administrators and project managers. Predictable costs due to transparent service delivery. High capacity networks and high scalability based on virtualization solutions. Web and mobile access to our system management solution. You see what we see! Dedicated English, German, or French speaking peers with continuous direct communication links. More than 22 years of experience in SAP system operation with a high level of staff continuity. We expand your know-how and resources dynamically and adapt to your processes and practices. 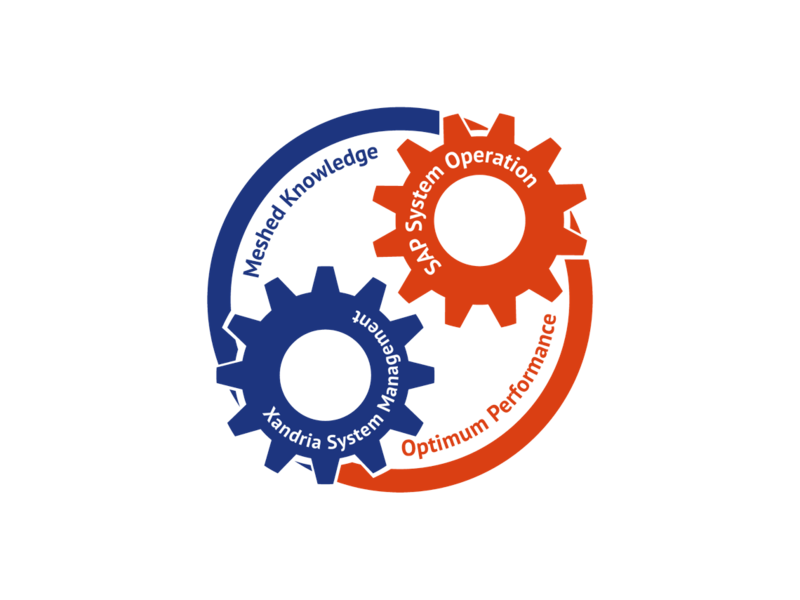 You want to benefit from the innovative and easy-to-use system management solution syslink Xandria? But you do not want to spend for additional hardware or data center space? Then our Xandria as a Service solution is the way to go! Roughly speaking, we do all the system monitoring for you. We run the server-parts of syslink Xandria as a shared service. You only have to install the monitoring agents on all hosts being monitored (i.e. the ones hosting SAP Application Servers and databases). Communication between agents and server is performed using certificate based HTTPS encryption over the Internet. We also notify all relevant monitoring results by email or text message. But of course you have access to the service all the time: you only need a web browser. Or a smartphone. And we create monthly Service Level Reports for you. SAP Basis Consulting Services through the whole system lifecycle: Planning, Implementation, Operation, Upgrade, Transition, Migration. Starting from single projects and vacation covers up to the complete on-site SAP Basis Operation. SAP HANA is probably one of the hottest topics currently discussed among SAP customers. Besides the more general question if or if not SAP HANA is an added value for the business, there is also the question of when to migrate. From a technical perspective there is a simple answer to this last question: Whenever you have to change hardware or whenever you think about changing the operating system or the database platform you should consider SAP HANA. Basically, a migration to HANA can take place in two steps: First the change of the database platform from e.g. your SAP Business Suite to SAP Business Suite powered by SAP HANA; in a second step the adaptation of your applications in order to get the most out of the In-Memory architecture. Is SAP HANA really the solution that best answers the defined requirements? Is the offered hardware reasonably sized? Is the proposed operation model the most appropriate one? Is an optional Unicode migration to be performed at the same time or in a second step? Are the migration path and the downtime strategy chosen appropriately? Take the opportunity to find answers to these questions and protect your investment as best as possible! We host all systems in our high-availability data centers. As part of the Landscape-Hosting service we provide for every customer physically separated networks including firewalls and intrusion detection systems. Access to the systems is provided by means of Virtual Private Networks (VPN) or leased lines. The mutually agreed service characteristics are contractually bound in a Service Level Agreement (SLA), reviewed periodically, and can be adapted on demand. For all sorrounding non-SAP systems we will arrange dedicated agreements based on your needs. syslink Americas and its flagship product Xandria, helps companies streamline SAP enterprise management by reducing workloads, simplifying everyday operations, and leveraging predictive analysis to increase service availability. Founded in 1994 and headquartered in Basel, Switzerland, syslink has been a SAP Certified Partner since 2000. Xandria’s intuitive solution provides SAP performance monitoring and management leading to operation excellence. © 2008-2016 syslink. All rights reserved.